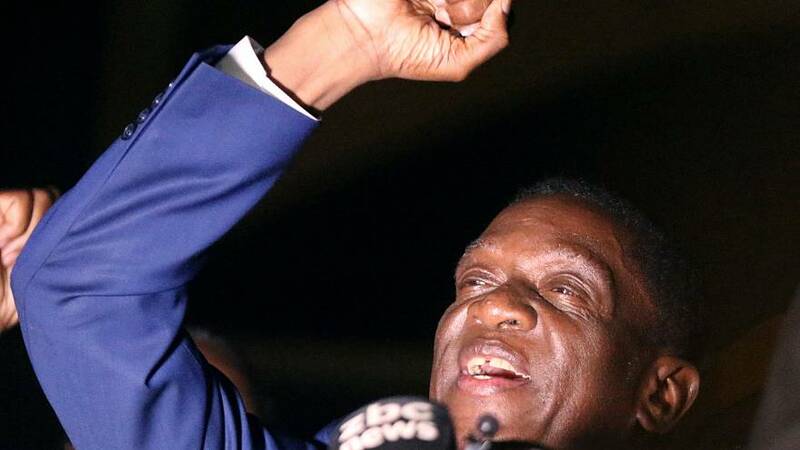 Two days after returning from exile, Emmerson Mnangagwa is to be sworn in as Zimbabwe's new president on Friday. It will cap a stunning comeback for the former vice president who fled in fear of his life after Robert Mugabe fired him amid a power struggle with the veteran leader's wife. Now Mugabe's 37-year rule is history. The 93-year old, who had led Zimbabwe from its independence in 1980, was forced to step down after the army seized power and the ruling ZANU-PF party turned against him and his much younger wife, Grace. Mugabe's resignation on Tuesday sparked joy in Zimbabwe where celebrations are set to continue amid the inauguration ceremony at the National Sports Stadium in Harare. Mugabe is said to have been granted immunity from prosecution and assured that his safety will be protected in his home country as part of the deal that led to him stepping down. Mnangagwa, 75, has said Zimbabwe is entering a new stage of democracy. Rebuilding a shattered economy will be at the top of the agenda for the new president, who carries his own baggage after decades of service to Magabe, who was widely accused of resorting to human rights abuses and election-rigging. Most controversially, Mnangagwa was in charge of internal security in the mid-1980s when Mugabe deployed a crack North Korean-trained brigade against rebels loyal to his rival, Joshua Nkomo. Rights groups say 20,000 civilians, mostly from the Ndebele tribe, were killed. Mugabe denies genocide or crimes against humanity but has admitted it was a "moment of madness". Mnangagwa's role remains shrouded in mystery. The opposition Movement for Democratic Change said it was cautiously optimistic that a Mnangagwa presidency would not "mimic and replicate the evil, corrupt, decadent and incompetent Mugabe regime".